1. By accessing or using any part of this site you agree to be bound by these conditions of use and bound by any Licence Agreement of the Rentracker application. If you do not wish to be bound by these conditions, you may not access or use www.rentracker.co.uk or any other related websites. 2. We may change these conditions at any time, by using this site you agree to be bound by the latest version. 3. Your use of the site is at your own risk. 4. We do not warranty that this site will be available without interruption or error. 6. Provision of services is subject to further terms and conditions (see below). A copy will be sent to you for signature prior to the start of the service. 1. We accept no liability for the accuracy, validity, or completeness of the content of this website. 2. We accept no liability that this website is created or maintained by any computer/machine that is free from any viruses or other harmful code. 3. We accept no liability for the content of any other site that you may visit from any hyperlink from this site. 1. All intellectual property rights on this site belong to Rentracker. 2. Copy, design and images on this site are subject to copyright. No material from this site may be copied, reproduced, uploaded, posted, transmitted or distributed in any way, except for personal use, unless permission is expressly given in writing by Rentracker. 2. We collect personal data required for finding suppliers and managing requests on behalf of the client. We often ask for background information (e.g. why a member wants to make a given request, what the budget for a project is) that may be considered by some people to be sensitive. We ask for this information because it significantly improves our efficiency in finding the appropriate supplier or managing a request. It is not shared with third parties, except the suppliers awarded the project. We hold details of current and completed tasks. We also hold feedback on or from clients, suppliers and tasks. 1. As required by the Data Protection Act, We will make any information held on clients and suppliers available to the individual or company in question on request and we undertake to correct it if it is wrong. 2. We also undertake to remove personal information from our database at the request of the individual or company concerned if that individual or company deems the information to be inappropriate. 1. High levels of security are in place to prevent access to information by unauthorised individuals outside Rentracker. Our databases and all other electronic information are held in securely protected servers. 2. We also have high levels of security within Rentracker. to ensure that private information is only viewed on a need to know basis and cannot be tampered with, stolen or improperly used. 1. 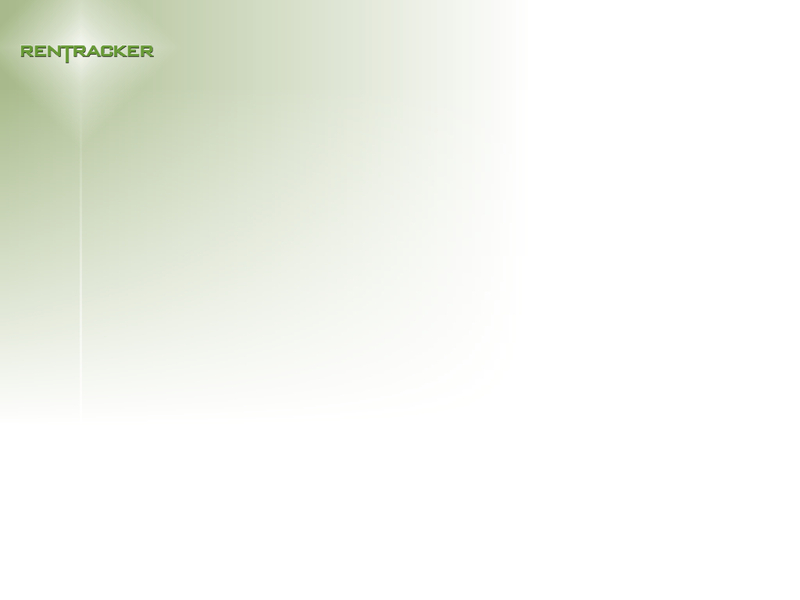 Rentracker only uses data to identify an individual or company for the original purpose for which it was given. 2. We may use or sell aggregated data for the purpose of determining trends. However such data will not include personal data that can be attributed to specific individuals. 3. Rentracker undertakes not to give or sell personal information to third parties for marketing or other purposes without the explicit permission of the individual. No such information is currently given or sold.